As interest in healthy home cooking fuels the desire for quality kitchenware, so Steamer Trading continues to expand, with two new stores and a transactional website added in 2012 and a further five stores in the pipeline for 2013. Despite the very challenging economic backdrop, the company is on target to double in size within five years. The quality of management information, accuracy of stock control and the ease of use of the POS system continue to be crucial for the company; whilst maintaining low overheads as the business scales is just as important which, Futura has enabled them to do, growing as they have with minimal increase in head office resources. “During a period of 12 new store openings we’ve only needed to add two staff members at head office”, confirms Ben Phillips, Managing Director. Whilst Futura has always managed the warehouse stock and seamlessly integrated with the POS; the new omni-channel integration between Futura and the online store links stock allocations to satisfy web orders from store and provides live visibility of stock levels. 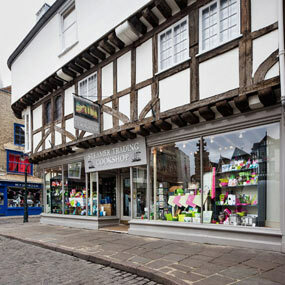 Steamer has used Futura’s retail management and EPOS solution at its headquarters in Lewes since 2001, and from just four stores the system has grown with them. “Futura has proven extremely reliable and stable and has easily adapted to our needs as we expand,” Ben Phillips, Managing Director, Steamer Trading. Why not click here to read more about Steamers success. Futura Retail offer EPOS and stock management solutions for lifestyle retailers, click here to find out more, or why not follow us for our latest updates on Twitter?